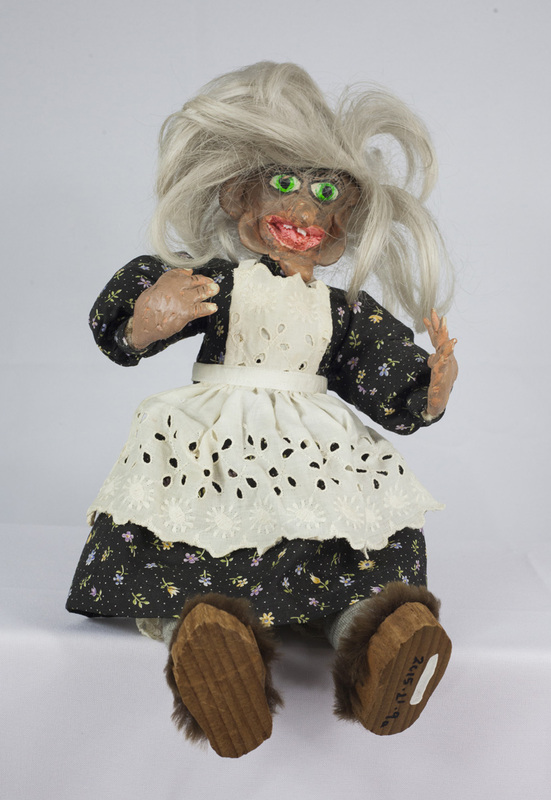 Oljanna Cunneen was making trolls long before the creation of Mount Horeb’s “Trollway.” Already an avid painter, storyteller, seamstress, and rosemaler, Cuneen used doll-making as one of many art forms to celebrate her Norwegian heritage. Cunneen’s figures were typically made using a copper wire armature that was padded to create the body and limbs; she then molded and painted the clay hands and faces. This doll is an example of her earliest work.